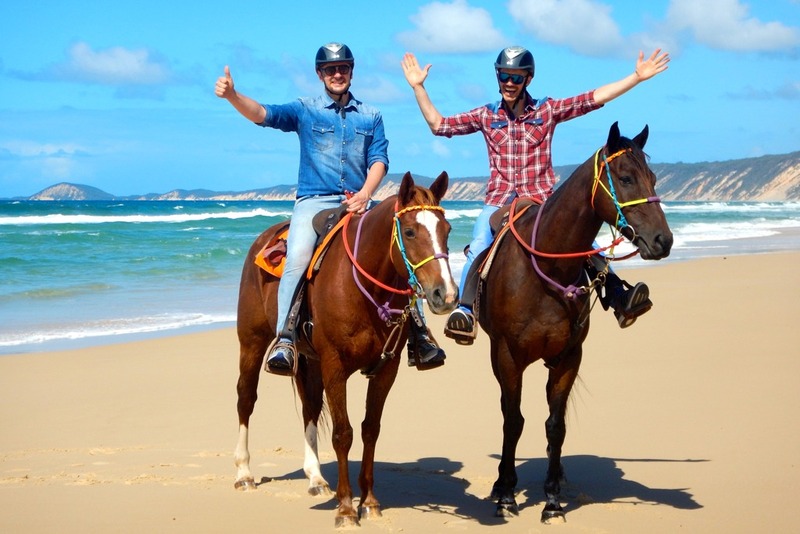 Join us for this horse riding adventure along magnificent Rainbow Beach. This world-renowned beach is one of the most beautiful places on earth. Clean clear water, soft white sand and amazing views. 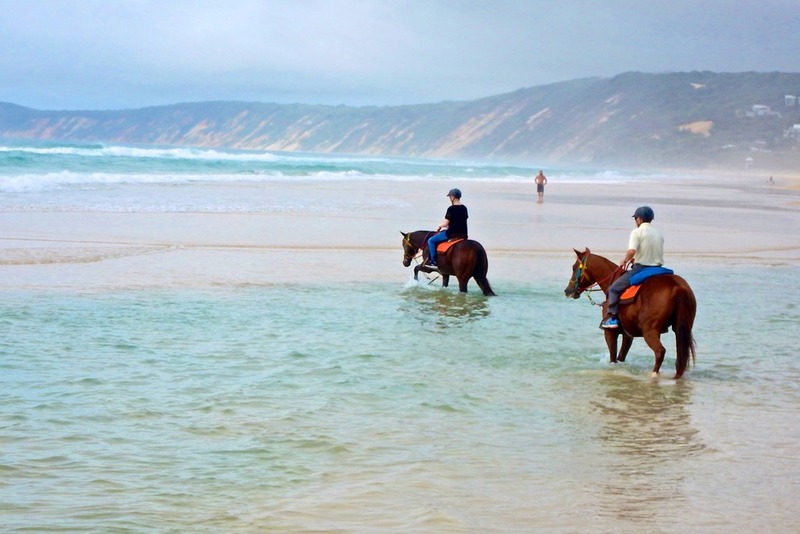 Rainbow Beach is the gateway to Fraser Island, is also famous for its coloured sands, pristine coastline and natural bush land. You will be able to view all this and more on our beach ride. 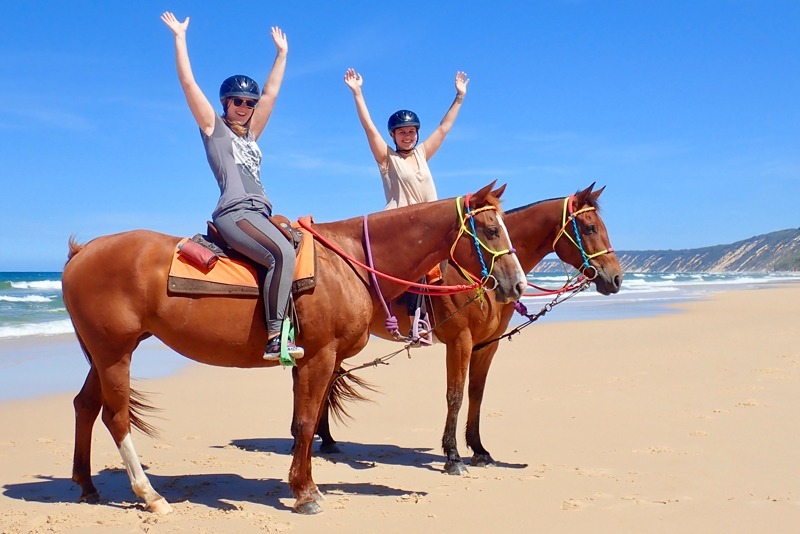 We hold the only permit in existence to ride along the section of beach where no other vehicles allowed, so it is an experience you will never forget. Our team also carry a waterproof camera to photographs each ride, which are made available to our guests free of charge. Riding helmets are also provided for safety. 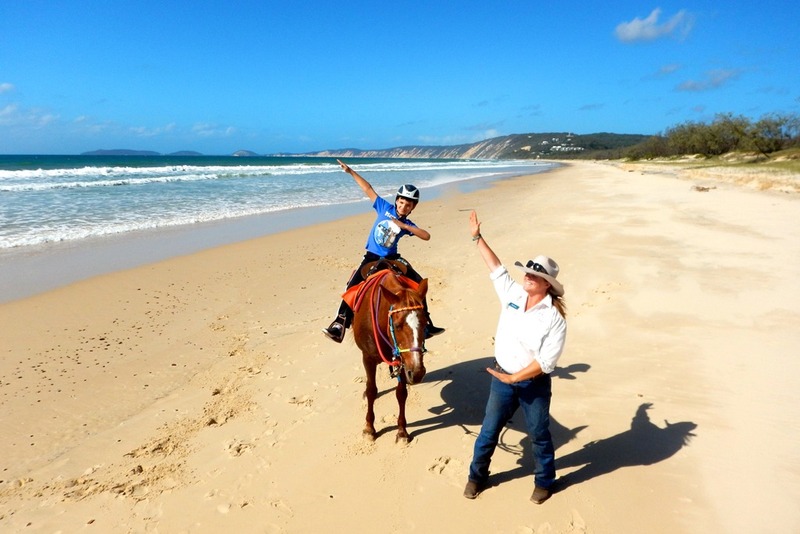 Please arrive at Clarkson Drive, Rainbow Beach, 30 minutes before your scheduled start time for fitting of helmets, adjusting of stirrups and completing an insurance form, then we will run through a safety demonstration before enjoying an hour and a half of beach riding. The start time of this ride does vary according to the time of year. Call us on 0412 174 337 or you can book online. You can read reviews on Facebook and Trip Advisor and Google. Please note last minute changes and cancellations may occur due to weather and tide conditions.